In a little movie called "Jurassic World." 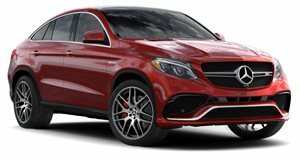 The fourth installment of the “Jurassic Park” franchise, “Jurassic World,” is set to debut on July 2, and the Mercedes-Benz GLE will be one the film’s stars. Kind of. Remember the old Ford Explorer and Jeep Wrangler from the original 1993 film? Both off-roaders received a nice popularity/sales boost as a result. The film’s 1997 sequel, “The Lost World,” featured the then new Mercedes M-Class. So now we get to see the new film’s characters getting chased by dinosaurs in another Mercedes.